This new year we are L O V I N G simple, clean, fresh meals and are feeling inspired to create something new and DELISH. 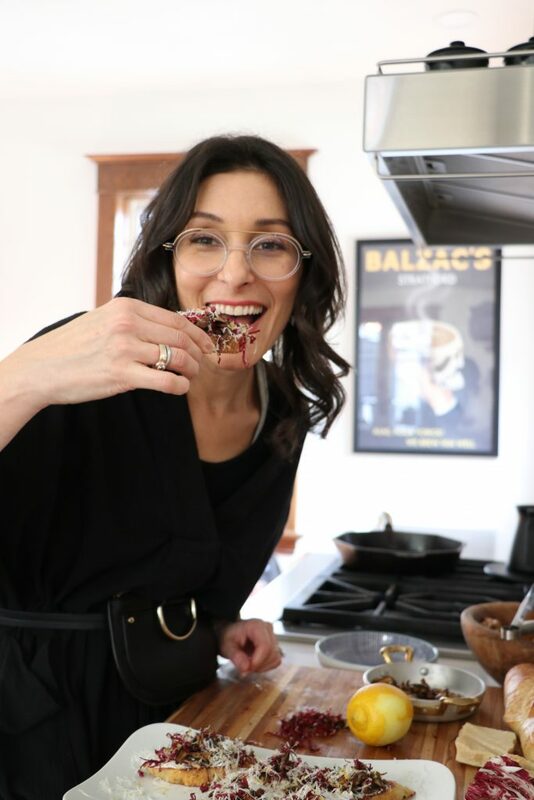 Here is our super simple Mushroom Crostini that is perfect for hosting brunch, or to serve as an appetizer…but we ate it and called it dinner…so feel free to do that too! Cooking is all about the perfect combination of ingredients and the proper tools! 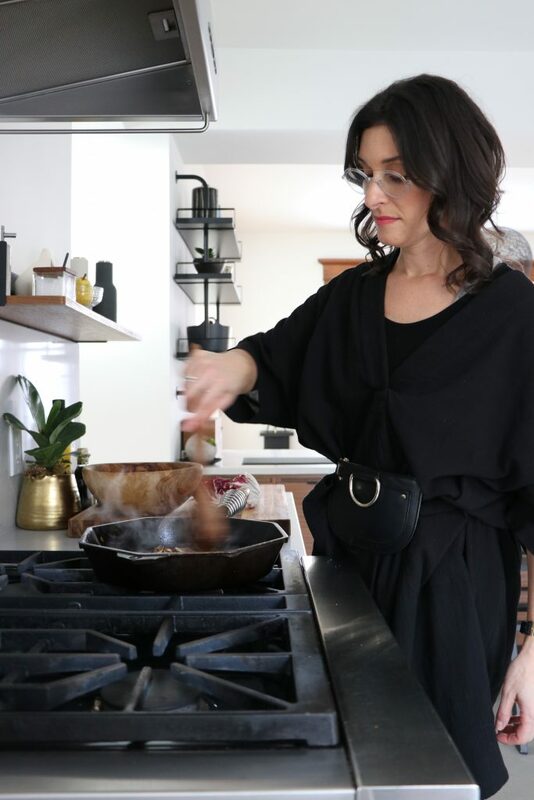 If you saw our instastories of the making of these Mushroom Crostinis than you know the key component to this recipe is a quality Cast Iron pan. Seen here is our Finex Cast Iron Cookware. 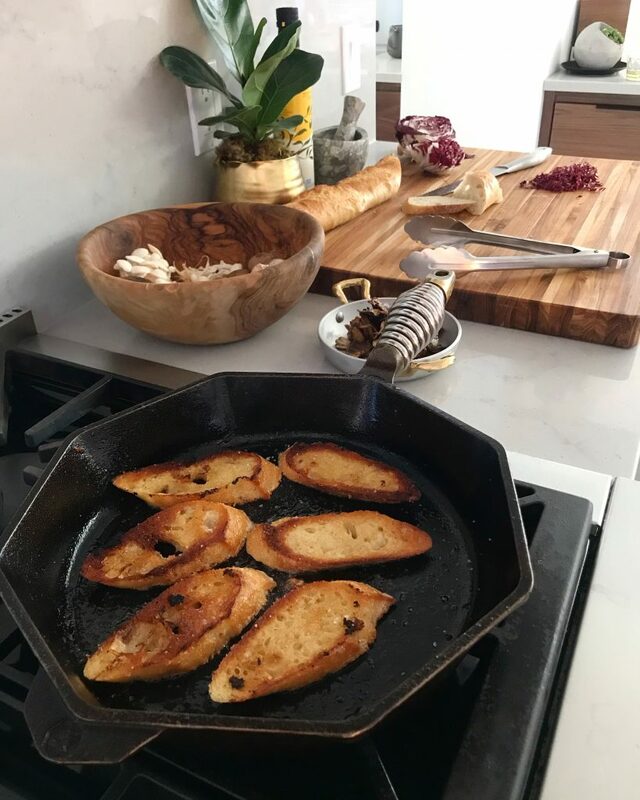 A beautifully designed cast iron pan that evenly distributes the heat, allowing you to get that perfect crisp to your crustinis. We have a selection of cast iron pans in our kitchen department – a staple to any cook’s kitchen. The other tools we used for this recipe that make ALL the difference are a SHARP Chef’s knife and a kitchen tool we use daily – our Microplane. 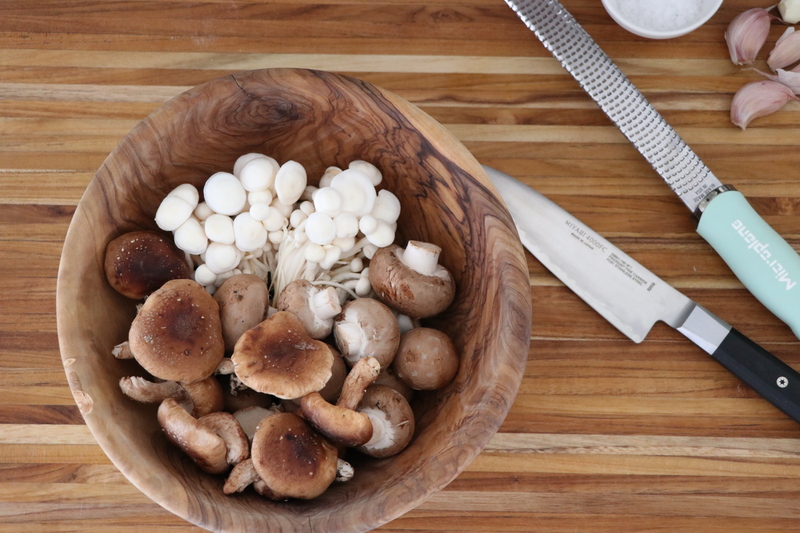 Having a properly sharp knife allows you to better control the thickness/thinness of your slices of your mushrooms and a microplane evenly grates your garlic and lemon zest to the perfect consistency. Cooking is as much about the proper preparation of the ingredients as it is about the ingredients themselves and these tools make a huge impact on the quality of your cooking and the end result! 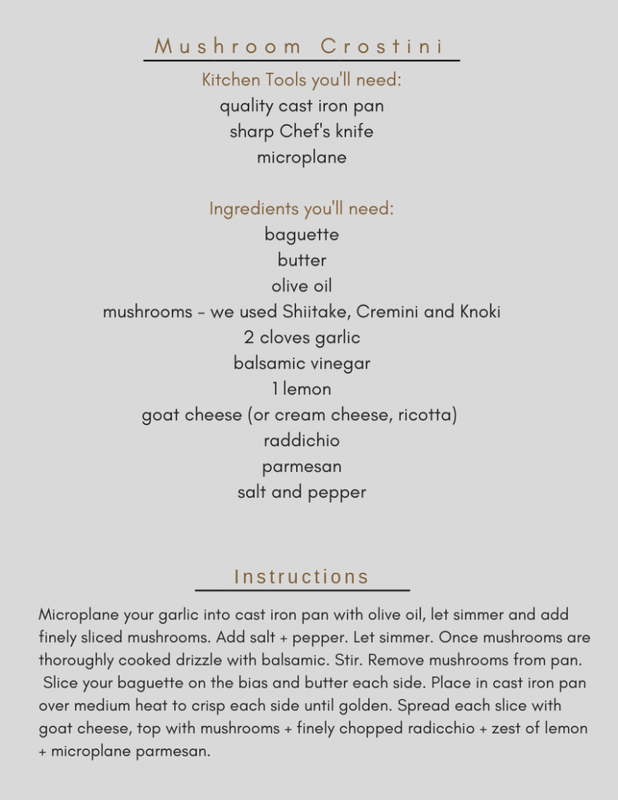 We highly recommend both a cast ion pan and a microplane to anyone who loves to cook or is getting into cooking.